For a discovery of the beautiful city of Orleans or a professional trip, the location of our hotel is ideal. Our team will be happy to welcome you. Breakfast + unlimited WIFI are included in all prices at the ibis Styles Orléans. Fully renovated in 2008, the hotel has 42 modern rooms. It is located alongside the Paris, Bordeaux and Tours highways, near the Ingré business park, St Jean de la Ruelle an d only 7 minutes from the center of Orléans. A perfect base from which you can easily get to your business meetings. The reception is open for check-in until 10pm. Please contact us if you will be arriving after this time. Do you know Pep's Your Mood? 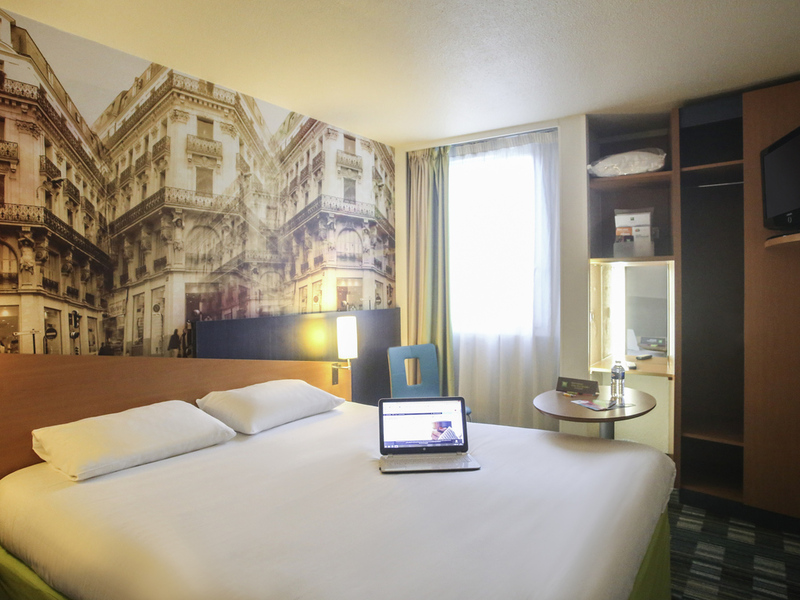 The ibis Styles Orléans hotel will surprise you with its warm and personal welcome. Get your news every day thanks to Accor Press, and take your favorite newspaper with you on your smartphone or tablet. The restaurant is open Monday to Thursday evening, from 7.30 pm to 9.30 pm.